On behalf of the organizing committee and partners, INSTICC has a great pleasure in inviting you to attend the 3rd International Conference on Computer-Human Interaction Research and Applications, to be held on 20-21 September, 2019 in Vienna, Austria, which is integrated in a set of related events that will gather more than 350 delegates. We aim at an extensive and exciting program, to be centered around the theme “Computer-Human Interaction Research and Applications”, particularly on innovative methodologies, applications, tools and platforms related to the advancement of research and practical applications of human-technology & human-computer interaction, to bring together professionals, academics and students who are interested in different aspects of Computer-Human Interaction, including Interaction Design, Human Factors, Entertainment, Cognition, Perception, User-Friendly Software and Systems, Pervasive Technologies and Interactive Devices. CHIRA 2019 will bring together engineers, computer scientists and world renowned experts and researchers, providing a privileged forum for showcasing your organization to an audience that is highly focused on your field of work. 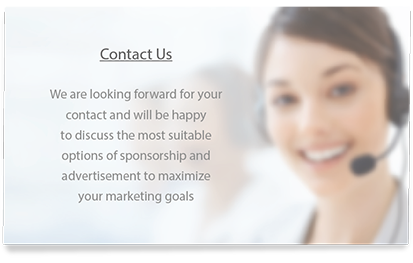 INSTICC offers a set of opportunities designed to support your marketing objectives, including an exhibition and demonstration area, speaker slots, and publishing materials as advertising packs.